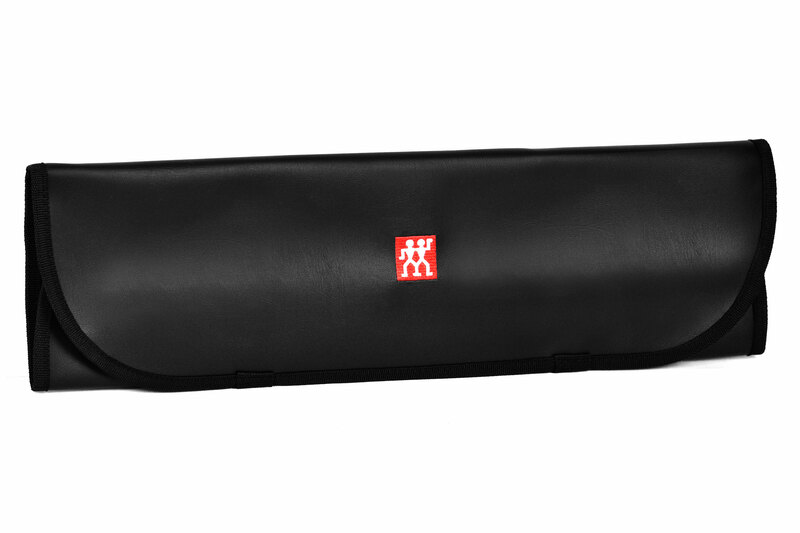 The Henckels 7-pocket Knife Roll is convenient for transporting your fine cutlery to work, school, or on vacation. With seven 20-in. long and 2-in. 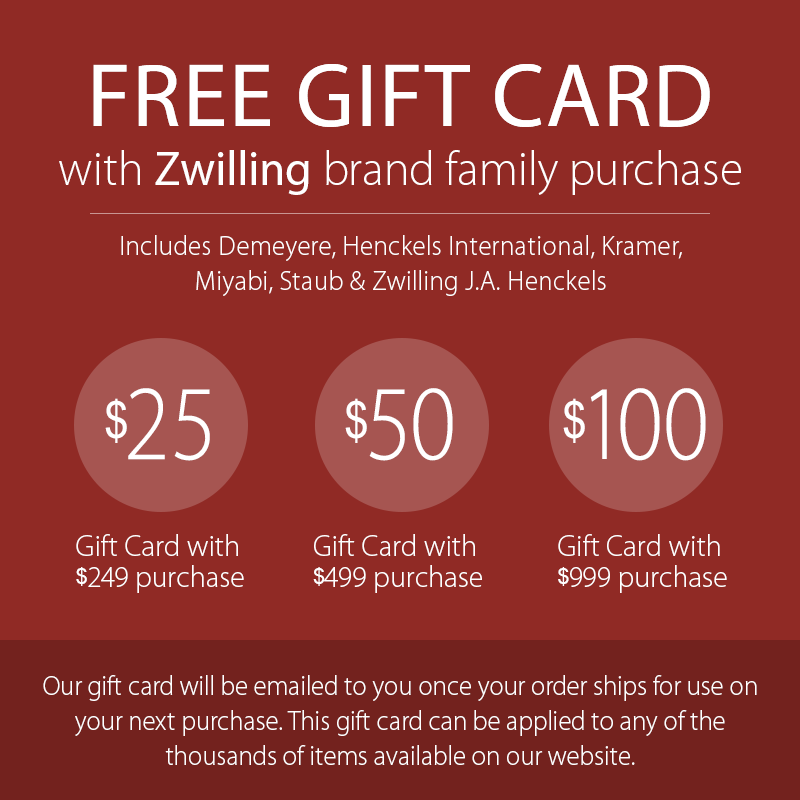 wide slots, there is plenty of room to store an assortment of kitchen knives. Made of poly-tech fabrication that has the look, feel and durability of fine leather with two velcro fasteners for easy handling. 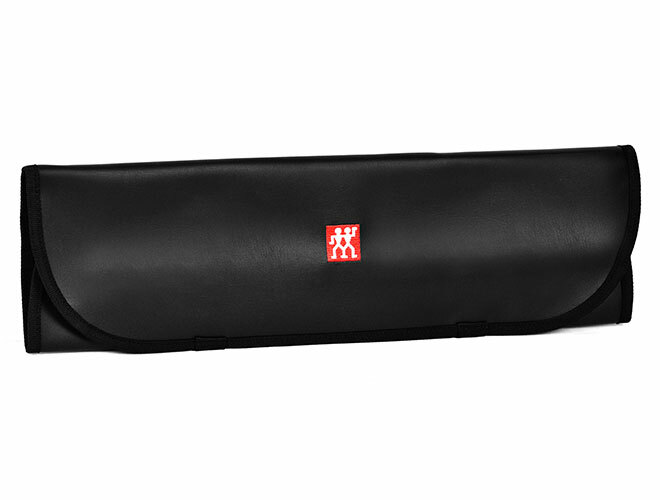 The knife roll tightly secures your knives in place while protecting them from damage. It folds to 20 x 5.5 inches, making it the ideal size to store in a drawer or kitchen cupboard.